Cavalor Hoof Oil Special combines two oils: a nourishing oil, with active ingredients that are absorbed deep into the hoof, and a unique essential oil for optimum hoof growth, development and quality. The essential oil also helps inhibit the growth and reproduction of bacteria, which results in a healthier hoof. 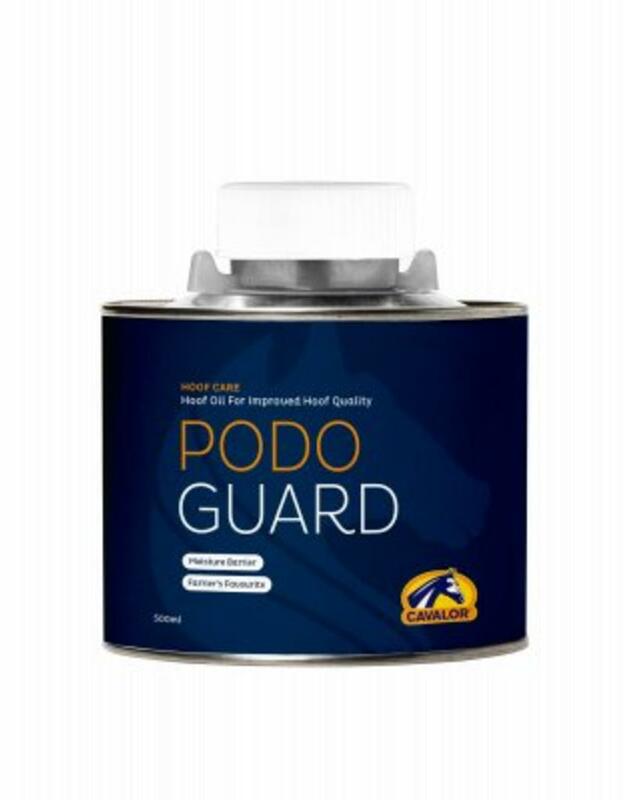 Cavalor Hoof Oil Special Podoguard creates an ideal moisture content, which helps broken or damaged hooves recover while a new, healthy hoof grows in.